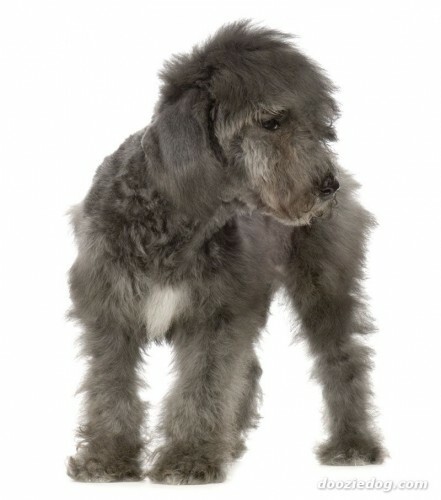 The most distinctive feature of this gutsy terrier is his curly, woolly coat. 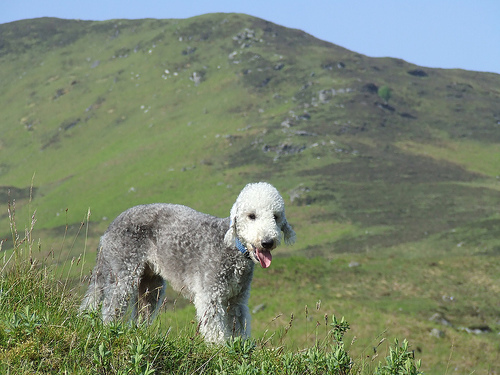 He is sometimes described as having the head of a lamb and the heart of a lion. 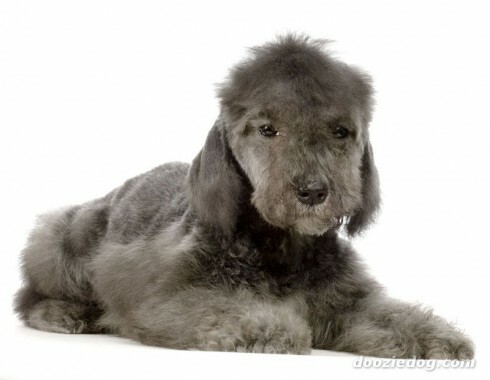 This is a dog that was bred to quickly kill not only rats, but also badgers, otters and foxes. 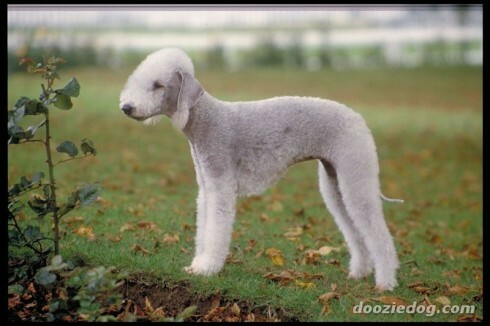 The Bedlington Terrier was first known as the Rothburg Terrier in the Hannys Hills of England. 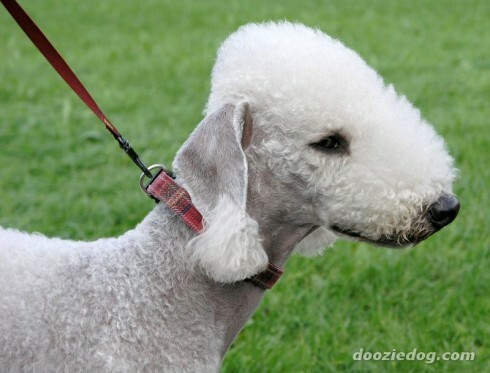 Joseph Ainsley of Bedlington owned the first dog known to be called a Bedlington Terrier. 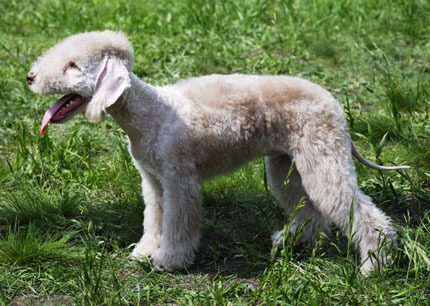 The breed was originally bred in England for hunting. 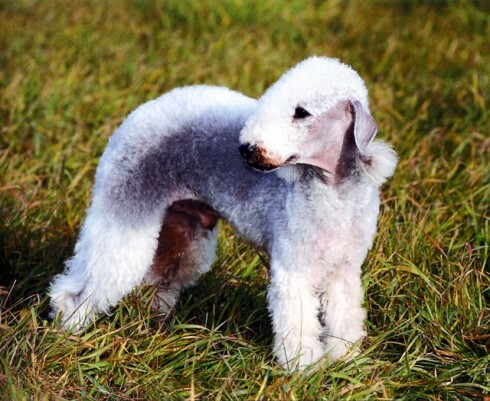 So you want to own a Bedlington Terrier? 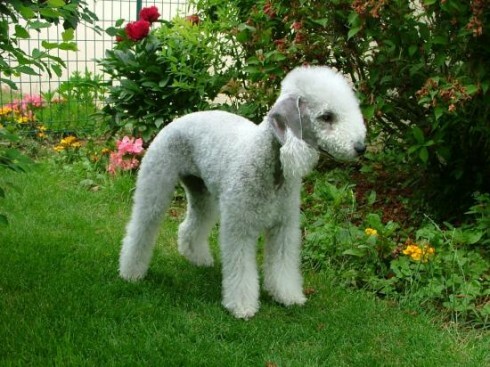 The Bedlington Terrier is strong, lithe, graceful, and built for speed The Bedlington Terrier's unique appearance combined with his assertive demeanor are two reasons why this dog is described as having "the head of a lamb," and "the heart of a lion." 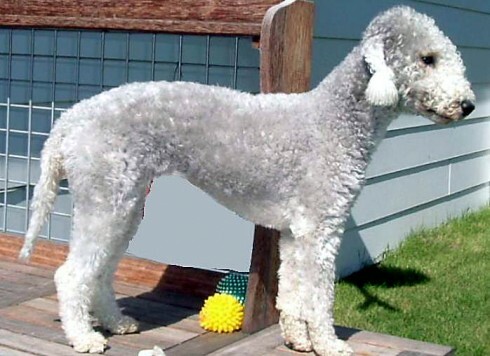 The coat is distinctive in appearance and requires daily five-minute groomings to keep its unique shape and healthy condition. 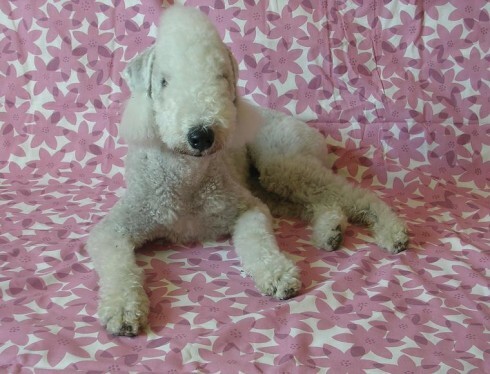 The alert, energetic Bedlington loves to play, but is known for his mild and gentle side. 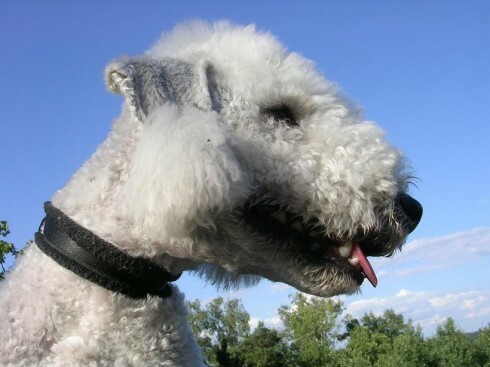 His personality earns him the reputation of a great companion dog. Small, bright and deep set. 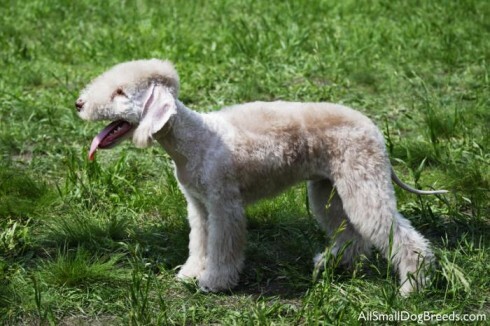 Ideal eye has appearance of being triangular. 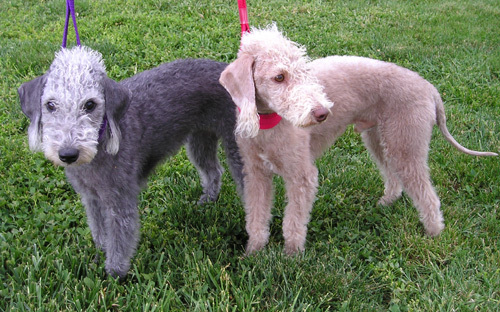 Blues a dark eye; blue and tans have lighter eye with amber lights, livers and sandies a light hazel eye.